Producers Update Fans On 'Morbius' Film Following Success of 'Venom' - Horror News Network - The Horror News You Need! Arad and Tolmach have confirmed Academy Award winner Jared Leto has signed on for the lead part, which follows his first venture into a comic book film when he portrayed The Joker in 2016’s Suicide Squad. The producers suggest the film has a potential filming start date for February 2019. Arad went on to explain that the needs for the story of Morbius will be what determines if the film receives an R rating or not. Set to be directed by Daniel Espinosa known for his films Life and Safe House and from a script by Burk Sharpless and Matt Sazama (Netflix’s Lost in Space), the film is based on the Marvel Comics character created by writer Roy Thomas and artist Gil Kane who first appeared in 1971’s Amazing Spider-Man #101. In the comics books, scientist Dr. Michael Morbius tried to cure a rare blood disease he was suffering from only to become afflicted with a form of vampirism that gave him superior strength, fangs and a taste for blood. Throughout the stories Morbius fought Spider-Man several times, though he earned several of his own books where he was the hero. Having appearances in animated TV series, Morbius was a character in Spider-Man: The Animated Series and Ultimate Spider-Man vs. The Sinister Six. At one point the character was supposed to make his live-action debut in 1998’s Blade but the cameo appearance was deleted and plans for him to be the villain in Blade II were scrapped. 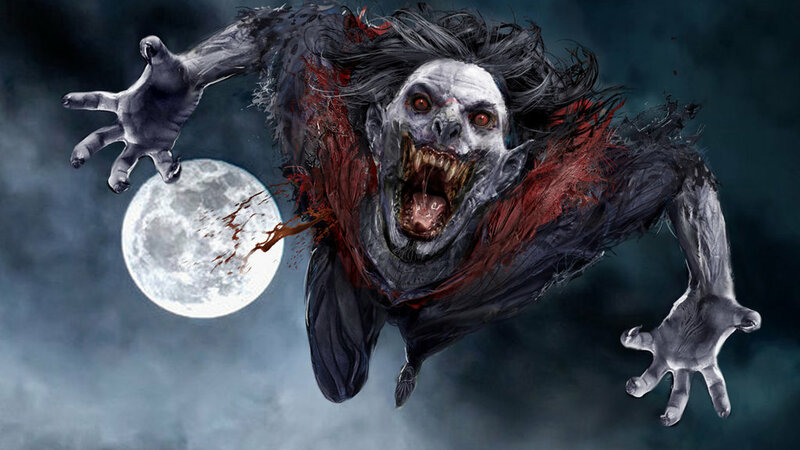 In addition to Arad and Tolmach, Morbius will be produced by Lucas Foster with Sony executive Palak Patel overseeing for the studio. As one of several Spider-Man spin-off projects in development at Sony, Venom was released on 10/5 and the animated Spider-Man: Into the Spider-Verse feature is set for release on Dec. 14. Recently a live-action Silk movie has been announced, as well as Silver & Black and Nightwatch with the latter having Spike Lee’s interest in directing. Check back soon for more news on the feature film of Morbius!